I was recently (April 2017) asked by Olli DJ2TX for help getting WSJT 10 running on Ubuntu Linux. 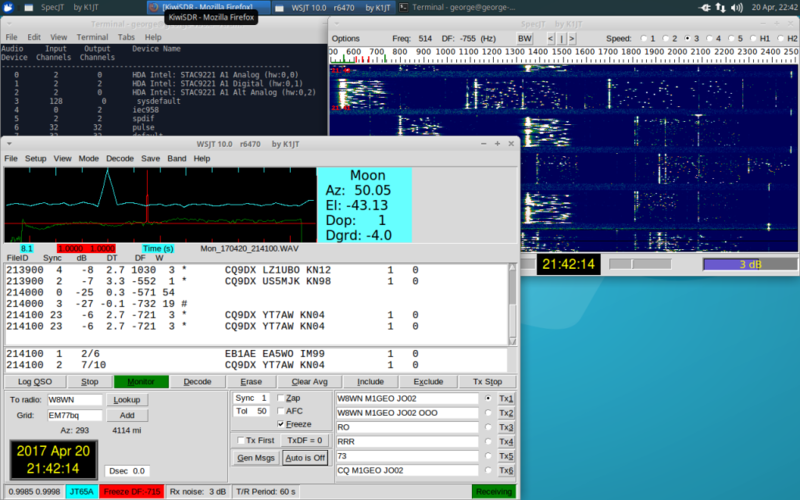 For those folks involved with EME, WSJT version 10 is a must, since it offers the best receive performance, improving on WSJT version 9 and the newly available WSJT-X 1.7. The easy solution is to install WSJT from the Ubuntu repositories, but, at the time of writing the repositories include WSJT 9 and also have a simple Python version miss-match (WSJT is written to use Python 3, but the standard Ubuntu Python 2 is called, and the program errors out). This miss-match is an easy fix, but still doesn’t help those who really want WSJT 10. 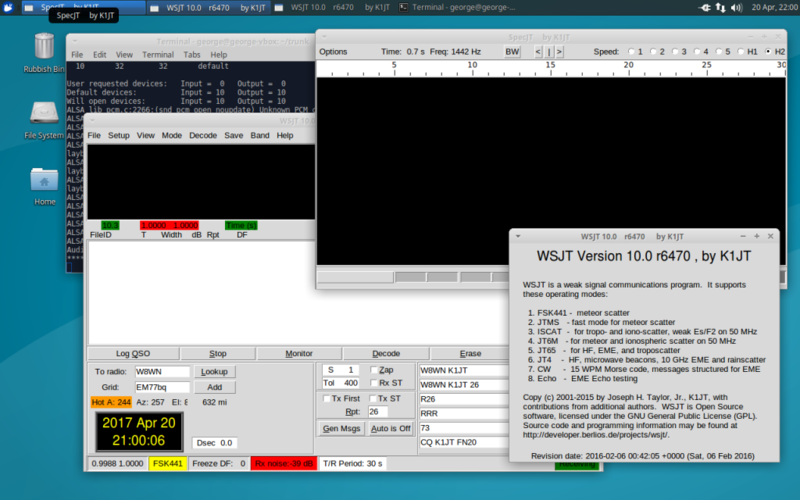 Once you have all of the prerequisites downloaded and installed, you will then need to download the source code for WSJT 10. You should see both the file names repeated. If you see “No such file or directory” instead, then something has failed, and you will need to restart the build process, looking for errors. You should use “make clean” in between consecutive build attempts to restore a clean environment.